Leaking roofs and windows, plumbing problems, cracks in walls and foundations, and drainage problems are construction defects that unfortunately are all too common in multi-family residential communities and commercial buildings (hotels, restaurants, medical/office buildings, etc.). These problems constitute some of the most complex and potentially costly issues to be faced by a community association or a building owner. 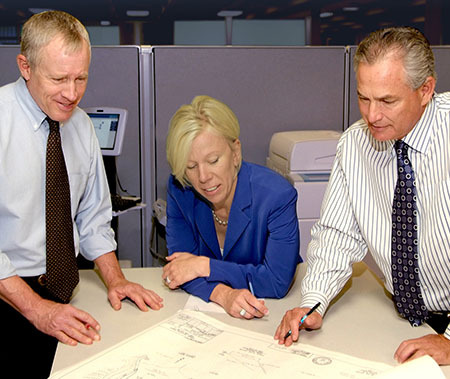 Since 1986, our firm has been built on a foundation of commitment and excellence. As a result, Epsten Grinnell & Howell, APC is today recognized as one of the most reputable and competent law firms in the field of construction defect litigation. We resolve construction defect problems that threaten the physical and financial well-being of community associations and owners. We are proud to have recovered more than $250 million in damages for our clients. Our construction defect attorneys are seasoned litigators who have dedicated entire careers to prosecuting design and construction defect cases. They can assist in resolving construction problems with general contractors, builders and developers, guiding you through the timely resolution of issues through negotiation, mediation, arbitration or litigation. While pursuing the fastest and most cost-effective resolution of the problem, we maintain a trial-ready posture throughout the negotiation process. By demonstrating a willingness to pursue and win a litigation settlement, we open avenues to resolving cases early and also speeding the reconstruction process. Our lawyers also have extensive experience in negotiating and drafting construction contracts and selecting teams of professional contractors to assist our clients in restoring their properties. The construction defect practice group is co-chaired by Jon H. Epsten and Anne L. Rauch.